Good morning. It’s second week. 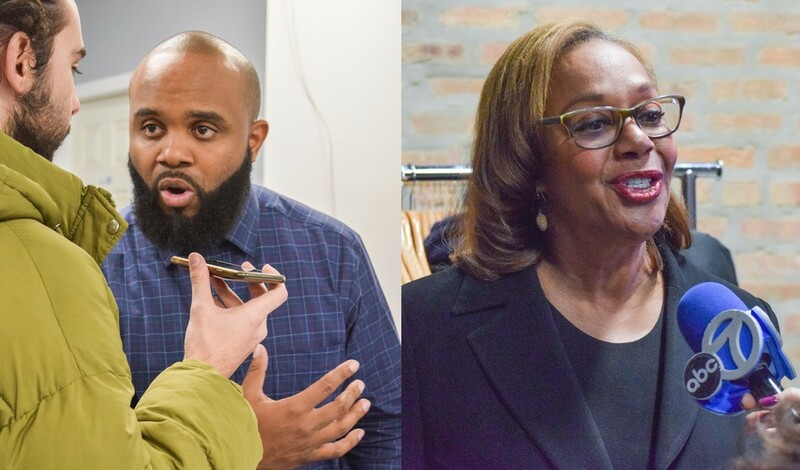 In a still-undecided Fifth Ward race, the choice between incumbent Leslie Hairston and first-time candidate William Calloway will come down to mail-in ballots. Though counted ballots currently show Hairston narrowly in the lead, final results of the race could be delayed until as late as April 16. A year ago this past weekend, President Zimmer took questions from students at a public forum in International House. The meeting was Zimmer’s first public event with undergraduates in five years; graduate students were barred from attending. The talk, which came out of a long effort by Student Government to organize a public conversation between students and Zimmer, was overshadowed by the shooting of a student by University of Chicago Police Department (UCPD). The shooting occurred just three days prior. More than 100 activists demonstrated outside that event, making it hard to hear Zimmer’s responses to questions. Protesters included Graduate Students United (GSU) members and students protesting the UCPD. One year on, Zimmer has not given any indication that he will hold another public forum. On the April 4 anniversary of the shooting of student Charles Thomas by the UCPD, student activist group #CareNotCops issued a letter of demands to President Zimmer. #CareNotCops’s demands include a breakdown of the University’s most recent annual budget, including an account of UCPD’s weapons arsenal. UIC Graduate Employees Organization, the union representing graduate students at the University of Illinois at Chicago (UIC), on Friday announced that it had reached a tentative contract agreement and would end its three-week strike. Under the new contract, workers would see a 14 percent wage increase over three years, according to WBEZ. Play The Maroon’s crossword online on our new site. Our newest crossword, ‘Space is the Place,’ is full of tantalizing clues like “Veggie garden scourge,” “Matching in sogginess,” and “Smother.” Check it out!